1 x Delivery & Display Dublin only. 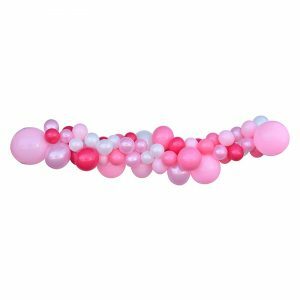 Our balloon column is perfect for decorating a communion or confirmation party. 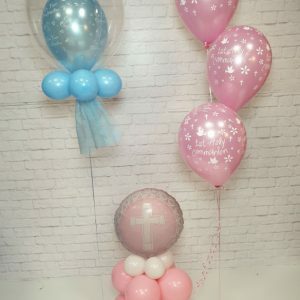 The column comes with a foil topper of either a communion or confirmation balloon. Please specify at checkout if the column is for a communion or confirmation. 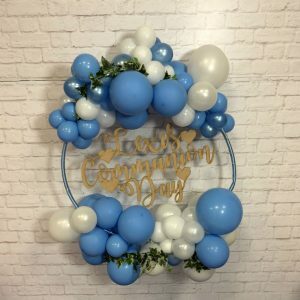 Balloon Hoop Clusters – Our gorgeous balloon hoop clusters, are air filled balloons with a wooden script centre piece. 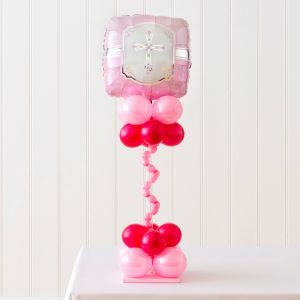 Our balloon hoop is perfect for decorating a communion or confirmation party. The hoop comes with a personalised wooden message in the centre. Please specify at checkout if the column is for a communion or confirmation and what your child's name is to be engraved. DIY Balloon Garland Kit for 3m display. 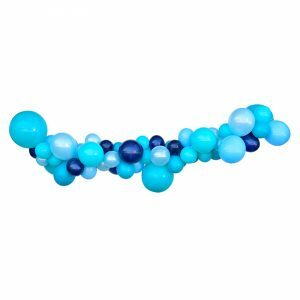 Balloons delivered uninflated.,Bright Blue,3m,Latex Balloons and String. perfect for decorating homes or venues. DIY Balloon Garland Kit for 3m display. 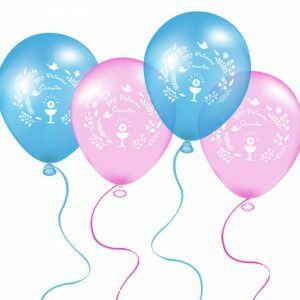 Balloons delivered uninflated. 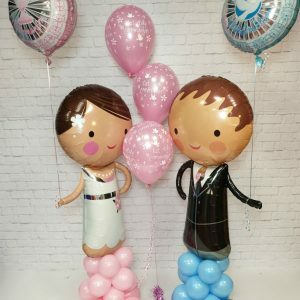 Pinks,3m,Latex Balloons and String. Perfect for decorating homes and venues.